Connect With A Gulf Coast Leak Detection Representative. We identify and locate the source of your water leak. When it comes to water leaks, Gulf Coast Leak Detection are the professionals with the latest technology & techniques to find the most invasive water leaks, no matter where they are. We love what we do and we want to help you quickly & proficiently locate the water leak so the major damage can be stopped. We utilize non-invasive water leak detection technology so we don't add to your unfortunate situation. Don't dig up your yard or go under your concrete slab hunting aimlessly when we can pinpoint the location of your water leak for you. We are so certain we can find your water leak that we absolutely will... if one exists! Gulf Coast Leak Detection is a full service water leak detection service utilizing the latest in acoustic and line tracing equipment that includes thermal imaging scans. If your water bill has jumped up or your swimming pool is losing water, you very likely have a water leak that must be found to save your valuable property and preserve your wallet. Depending on the location of your water leak, structural damage could be happening that puts you and your family at risk. The property damage will only get worse while the water bill continues to waste precious water and money. Our water leak detection services are ideally suited for residential, commercial, or industrial locations. Call Now for immediate care: (850) 303-1542. 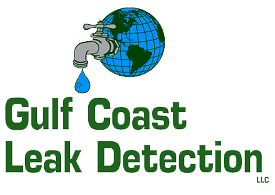 Gulf Coast Leak Detection is the leading water leak detection company in the Southeast United States with operations throughout North Florida and Southern Georgia & Alabama. BBB A+ Accredited, 5-Star Reviews, Professional Team Members, State-of-the-Arts Technology and a 30-Day Warranty on residential pool leak detection. These are the foundations of our service commitments to you. We put you first.